Thank you for your interest in taking lessons at Sage Music. When you fill out the form below we will contact you to answer any questions that you may have about our school, and our lessons. We can also schedule you for a free consultation with the school’s founder, or, if you are ready, schedule your first lesson. We will never share your information with anyone else, and we are looking forward to connecting with you! 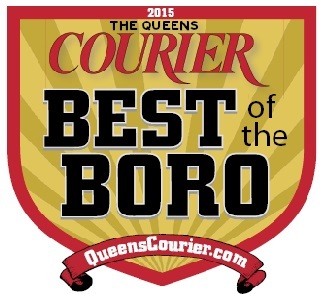 Sage Music was voted best Art School by Queens residents. Honored by the Small Business Administration. Have taken guitar lessons for over a year here with Jason – fantastic teacher, highly recommended. I am an adult currently taking piano lessons at Sage Music. So far my experience has been just great . I am learning so much, because my teacher is a very skilled musician, and is very patient with me. I am truly enjoying my classes, and I love the atmosphere at the school. I look forward to going there every Saturday. I recommend this school for anyone looking to take piano lessons. What I liked the most is the approach to teaching, very relaxed, unhurried, building the foundation first before jumping into something more sophisticated during my guitar lessons. My son has been Jason’s student for more than six years. The results are outstanding. Jason Sagebiel is an excelent guitar instructor. Jason is teaching how to play an acoustic electric guitar. I been going to him for about 2 years and have learned both practical and theory. I highly recommend Jason as a guitar instructor. My son has been taking guitar lessons from Jason for nearly three years and according to him, it has been a wonderful experience. Jason is a very experienced and knowledgeable teacher who helps my son develop his music sense and correct way of practice. His critique and insight help my son grow as a guitar player. I would highly recommend Jason. Jason knows the psychology and philosophy of learning applicable to a matured learner. He put his thought into making teaching guitar and drumming meaningful and cost-effective. Progress is felt right away with practice. He explained the mechanics and art of playing music. He made musicians out of his students. He is a teacher of teachers in music. I think that [Sage Music School is] grounded in music and has people who are excellent and really care about teaching. They’re not just there for themselves, but they really care about community and their students. Though an experienced guitarist in many styles of music, like many others I’ve long felt I lacked the basic technique and focusing skills necessary to be fully in control of my playing and musical satisfaction in general. Jason’s refreshing back-to basics, direct and supportive approach to technique has given my playing a new lease on life. It’s been well worth the trek from Park Slope to LIC and back each Saturday! I’ve learned more about the elements of music and discipline in the past few weeks than I have in years of guitar playing. For the first time in four years, I feel like I am progressing! Learning guitar on my own was not working, so I decided to give Sage Music a shot. A couple months later, I have improved vastly, have had adjustments made to my guitar courtesy of Sage, and have developed techniques that will make playing easier going forward. Taking lessons here is a great mix of focused technical training and a laid back atmosphere. I’m given license to decide what direction the lessons go in. I highly recommend any beginners out there to consider building a foundation with Sage Music. Jason has been my teacher for over two years, and I have gained more from his lessons than any of my previous teachers. His focus on technique and musicality has given me a more complete understanding of the guitar. His clear and concise methods have prepared me to become a more confident performer and to teach students of my own. I would recommend him to anyone looking for a truly dedicated guitar teacher. I have gained not only a better understanding of classical guitar technique, but a whole new approach to the way I understand, practice, and view music in general. Having worked with 4 different teachers before meeting Jason, I knew from the beginning he was different. I was amazed by his attention to detail and the passion that he was showing for my progress from day one. There might be a lot of guitar teachers out there but Jason put me on the path to becoming a true musician, and there is a huge difference between the two. Jason is more than a teacher to me, I consider him a mentor. Many of the principles that I was taught in class I was able to apply to different aspects of my life. Thanks Jason! The first thing that I like is the teachers are very friendly, they have this good sense of humor to teach each one of us and you cant wait for the next class to come. What I really like is how they teach the piano lessons and how the teachers motivate you to learn. The other thing is that they teach your lessons individually, meaning it is only you and the teacher – that’s one of the “best things”. The books that the teachers use are clear and you can understand everything. Everyone in the music school is very professional. What I liked the most is the approach to teaching, very relaxed, unhurried, building the foundation first before jumping into something more sophisticated. I would have to say that what I admired most was the attention to details. Also while most schools will teach their students to read music using a method book. At Sage Music you learn to read while learning composition, and students are encouraged to create music from the very first day. It is easy to learn in Sage Music because there is no pressure and easy lessons for students of all levels of learning. I would recommend it because it has a great learning atmosphere. Also, it is simply very enjoyable to learn in this music school. What I enjoy most about these lessons is the fact that I am learning real theory, building dexterity with several exercises, getting many handouts, occasionally being emailed with updates and reviews of past lessons, etc. I also really love the friendly and artistic energy of the building and the area. I would recommend Sage Music to my friends because I’ve tried many different guitar teachers and music schools that have not taught me anything close to what I am learning now. Previously, I was not satisfied with learning song fragments and musical pieces that were not allowing me to improve efficiently. I Also feel that my teacher really takes an interest in my musical progression. I truly like that the teachers are straight forward about what it takes to be able to play an instrument. Even though my son is still young, he is being pushed to practice diligently. I think this is very helpful for him since he is very active and needs discipline. I would recommend the school to a friend. Overall, I want to continue bringing Manny to classes at Sage Music and do all I can to encourage his practice. I’d recommend Sage because – my child’s social awkwardness and initial resistance to music class nothwithstanding – his teacher quickly developed a good rapport with him. Although the school’s approach to music is, I think, fundamentally serious, the teachers wear their learning lightly – the tone of the school is unpretentious, unstuffy, unrushed, friendly. This tone – and my and my son’s comfort with the school – is helped by the fact that a little time is left for talk before and after lessons. I am an adult currently taking piano lessons at Sage Music (formerly Long Island City Music School). My teacher is Mr. Coto. So far my experience has been just great . I am learning so much, because my teacher is a very skilled musician, and is very patient with me. I am truly enjoying my classes, and I love the atmosphere at the school. I look forward to going there every Saturday. I recommend this school for anyone looking to take piano lessons.